Falchion of 14th century type. The falchion is often described as a heavy chopping sword. In reality these single edged swords are no heavier or more cumbersome than the double edged swords of their period can be. The blade of this falchion is broad in profile and forged with a good amount of distal taper. At the widest section it is not much thicker than a modern chef´s knife. 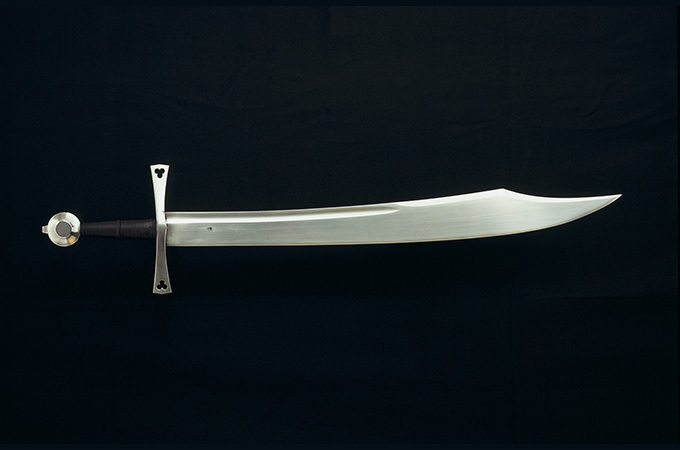 The shape of the blade and the effective distribution of mass makes for a sword with a quick and agile heft that is very good for the cut.